This year marked the first installment of Royal Bay Care Home's 'Staff Appreciation Day'. "Thank You to all our staff for all your hard work and dedication throughout the year!" A day where our Managers organised a day of presentation, food, drink as well as some fun and frolics for all the staff enjoy and have a bit of downtime. 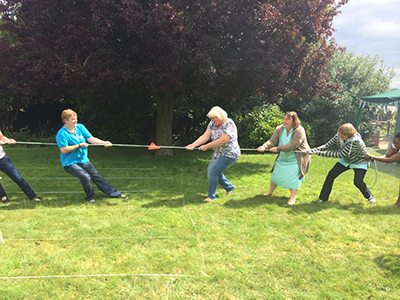 Each of the Managers used various methods to communicate to the staff how the residents appreciated them. 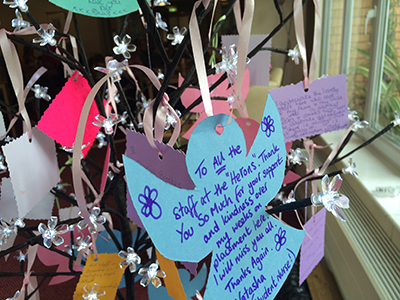 One home asked the residents to provide descriptive words of each of the staff, whilst other homes created 'Appreciation Trees' whereby residents' comments of thanks were hung as ornaments. 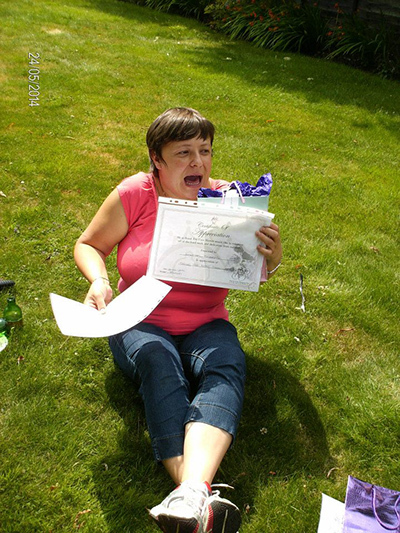 Each of the homes also distributed individual certificates to each of the staff with a personalised (often tongue in cheek' message of tribute. Each home had a nice afternoon which provided an important little bit of downtime for most. Now to look towards next years, which I'm sure will be even bigger and better!